Dr. Yongping Wei is Associate Professor and ARC Future Fellow, School of Earth and Environmental Science, the University of Queensland. Before joining the University of Queensland in 2016, she was research fellow, senior research fellow and principal research fellow at the Department of Infrastructure Engineering, the University of Melbourne during 2008-2015. She had 11 years’ working experiences as an Irrigation Engineer then Water Manager in China in her early career. Dr Wei was awarded her PhD of Natural Resources Management at the University of Melbourne in 2007, and she also obtained Bachelor of Engineering and Master of Natural Resources Economics. Dr. Wei is leading the catchment governance system science laboratory covering three innovative disciplines of catchment governance system science, which includes catchment governance mechanics, catchment system connectivity and catchment social-hydrology. She supervises three Post-Docs and ten PhD students. Dr. Wei’s major research interests are global environmental change, sustainable water and land management, and interaction between human system and environmental systems. Dr. Wei’s research on river basin management has been recognized by the ARC with the awards of a Post-Doctoral Fellowship (2010-2013) and a Future Fellowship (2015-2018), additional two ARC research projects as first CI; by the Natural Science Foundation of China with two first CI Projects, and by the Natural Environment Research Council of the UK with a primary CI project, over a nearly nine-year period. Dr. Wei has published one book, four book chapters and 73 journal papers since she started her PhD study in 2003. Her Score in ResearchGate is 33.74. Major journals include: Nature (38.138), Global Environmental Change (Impact Factor 6.000); Hydrology and Earth Science Sciences (3.642) Agriculture, Ecosystems & Environment (3.203); Journal of Hydrometeorology (3.573), Science of the Total Environment (3.163), Agricultural and Forest Meteorology (3.894), Journal of Hydrology (2.693), Water Resources Management (2.463), AMBIO (2.973), and Current Opinions in Environmental Sustainability (2.758). 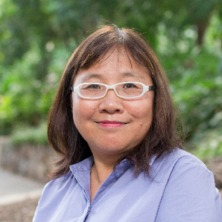 Dr. Wei is leading the catchment governance system science laboratory covering three innovative disciplines of catchment governance system science, which includes catchment governance mechanics, catchment system connectivity and catchment social-hydrology. She supervises three Post-Docs and ten PhD students. Understanding the impacts of floods/droughts and their management on catchment socio-ecological system. Integrated river management in the Mekong region: are River Basin Organisations the preferred governance model?